OTAKU CLUB: Natsume Yuujinchou Go: And Then Six, Seven And Eight! 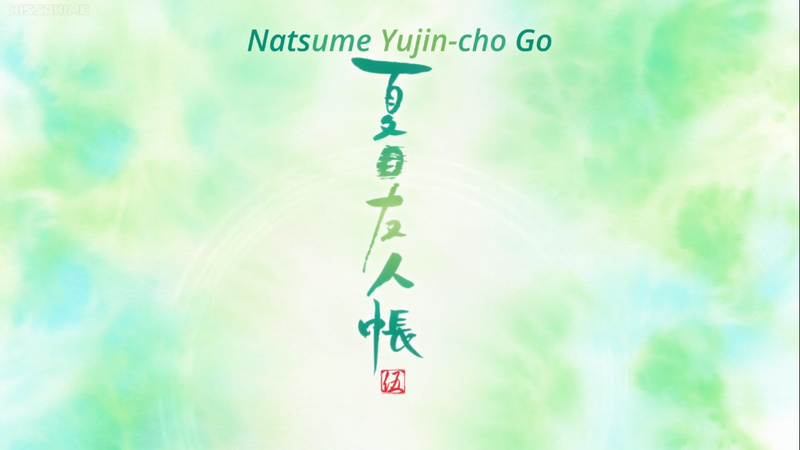 Natsume Yuujinchou Go: And Then Six, Seven And Eight! Hey there guys. I've been really busy and really lazy lately. 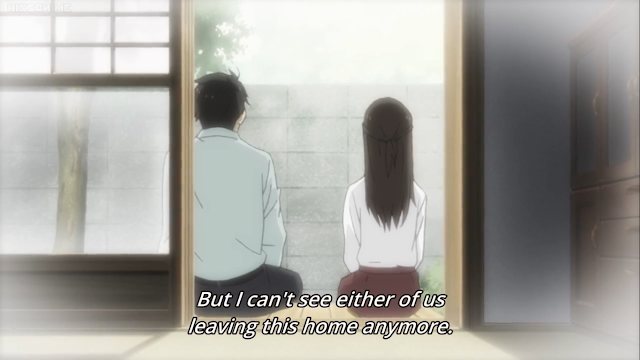 It was mostly me getting sick for a week and then stuff piled up and before I knew it, it's a month and a half so before season 6 ends, I'd like to do a mini review and share my thoughts on the fifth season of Natsume Yuujinchou. Ignoring the fact that I am inconsistent, let's get it started. 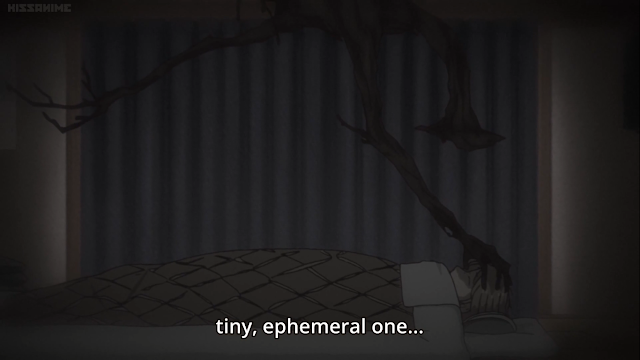 This season, the anime touches a lot more on human/youkai relationship than usual. Its recurring in almost all the episodes of this season. 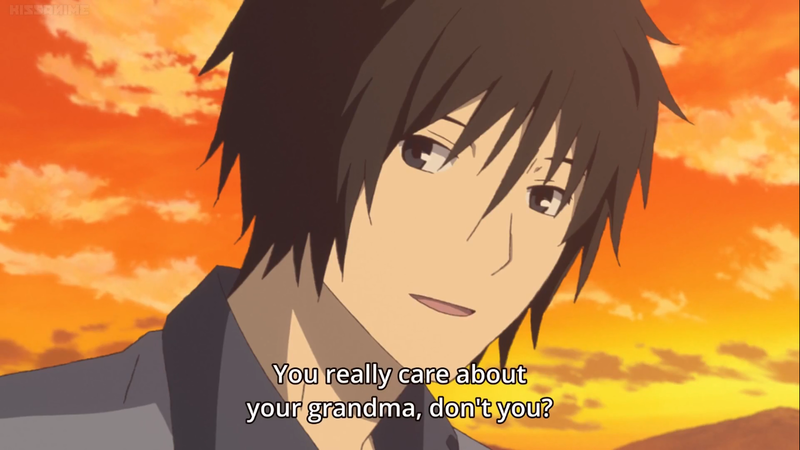 Most of the time the anime portrays such relationships to be cruel and stupid because of the ephemeral nature of humans, being so fragile and having such a short time in the world. The show did mention this a lot in past seasons but this time, its sort of become the main theme for season 5. 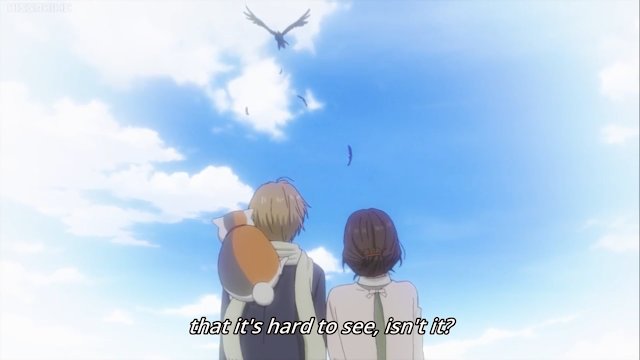 Heck, the last episode of the season is centered on the mid-rank youkais dwelling on their relationship with Natsume himself. I have never seen the mid-ranks being so deep as they have on the last episode. Its a nice change of pace. 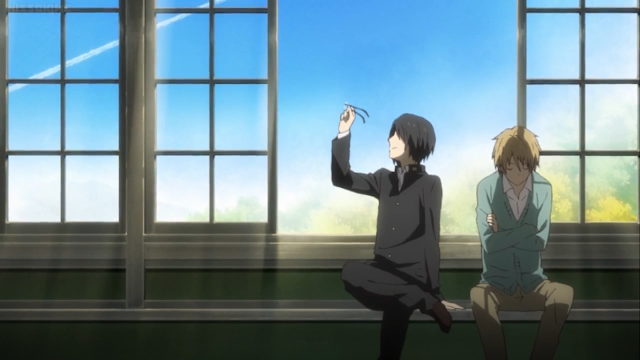 As always, the story reveals bit by bit about Natsume's grandmother but in my opinion, this season also expands on the pasts of the supporting characters like Tanuma, Natori, and the couple taking care of Natsume, Shigeru and Touko. 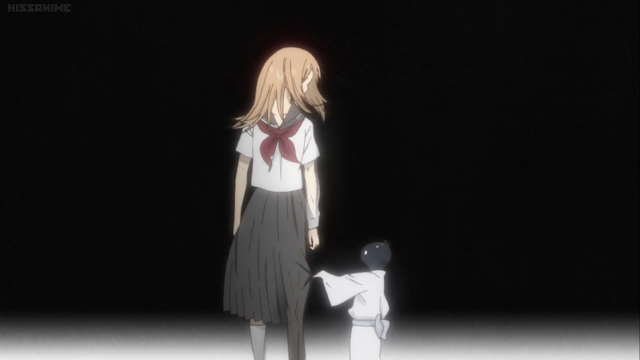 Touko-san's past (not really past but eh) is my favorite episode as of now. Loving this so much. On episode 10, the show is narrated fully in Touko-san's voice as she reminisce about her life before Natsume came where she befriended a crow (yes its sort of funny but its cute). Something nice also happened at the end of the episode. Something good. Then there's also a sort of fan service-ish episode on the early beginnings of Natori and Matoba (yes that Matoba) and how they actually started to rise in name at the same time. Its... uh... I am one of those people who likes seeing these sorts of things. These love hate relationships between rivals of differing ideals. No homo though... probably. The young Matoba and Natori. Yes they are of the same age. This is just a small pick-me-up for me to get me started again (as always) so this here is the end of my mini review I guess. I didn't say too much did I. Sorry. Just some stuff to look forward to in the series is all. I mean, this isn't some shonen anime. Its peaceful and mellow. That's its edge. Maybe I'll do a more exciting review when I've seen season 6 or perhaps the movie (if it does come out). I'll continue reviewing Shadowverse as well don't worry. Its not a one trick pony of mine. So look forward to that as well.